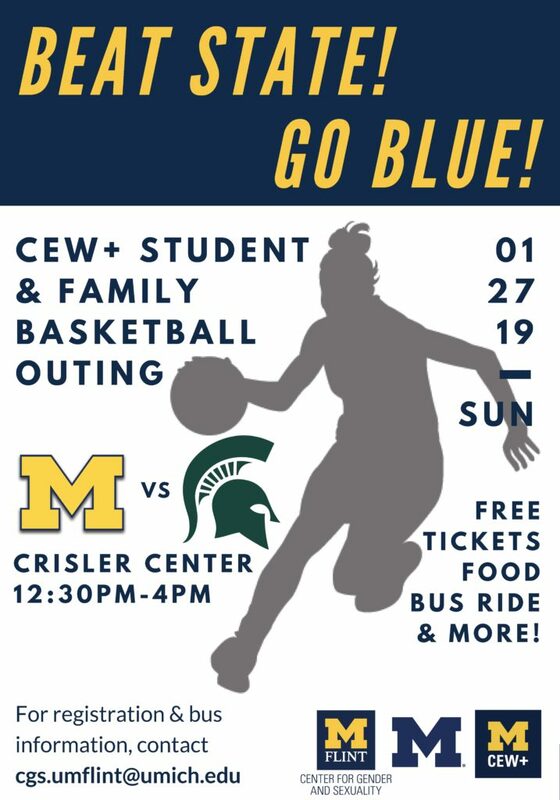 Please join us at the U-M vs. MSU women’s basketball game for a free community-building event for nontraditional students and their immediate family (kids, spouses/partners). All CEW+ guests will have reserved seats and lunch served in the beautiful, private Crisler Center Club with views of the court! Picking up your tickets: Your tickets will be available on the day of the event at “Will Call” at the Crisler Center. The person who completed the registration must bring a photo ID with them to claim the number of tickets they requested. Will call for public tickets is located at Crisler’s northeast entrance, adjacent to the Blue Parking Lot. Click here for more information. Once registered, if you are unable to attend the event please notify us at contactcew@umich.edu as soon as possible (this will help us plan and preserve funding for other programs). *This is a stamp-eligible event!